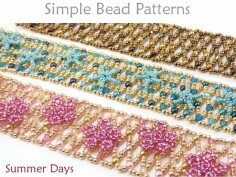 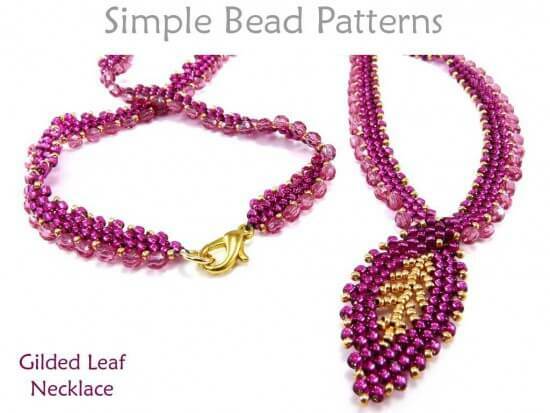 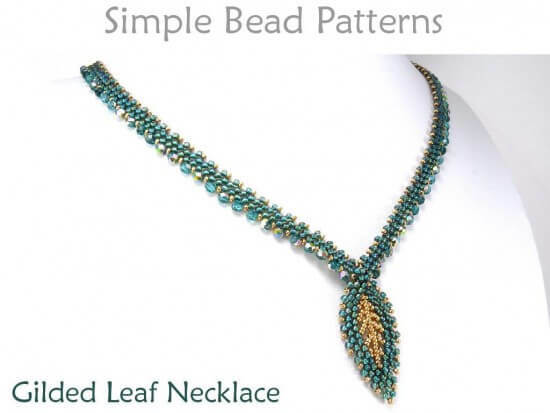 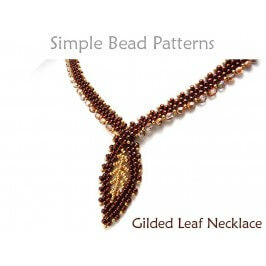 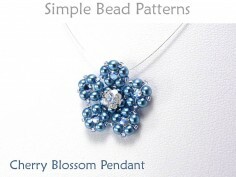 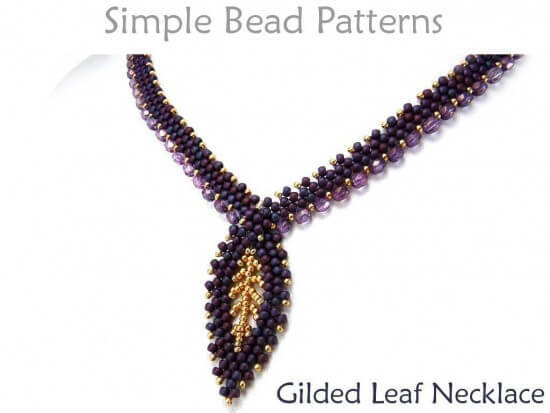 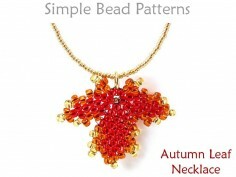 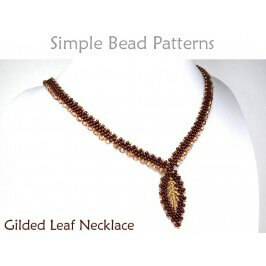 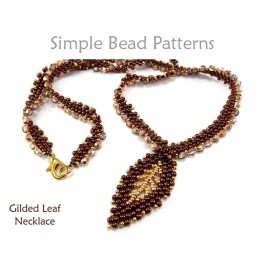 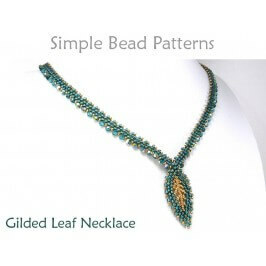 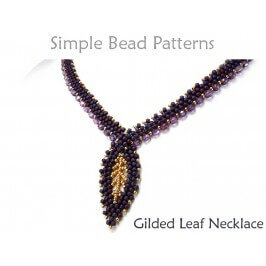 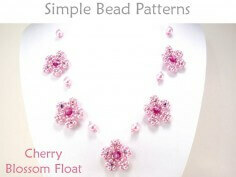 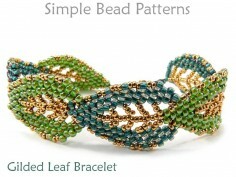 Learn how to make a beaded Russian leaf necklace with this jewelry making beading tutorial by Simple Bead Patterns. 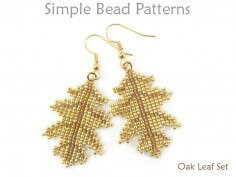 Part of the Gilded Leaf collection, which includes the Gilded Leaf Earrings and Gilded Leaf Bracelet – sold separately (see below). 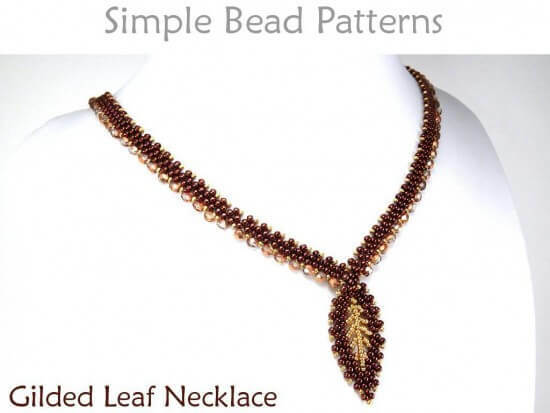 This dramatic necklace incorporates a unique design to form the integrated leaf pendant shape. 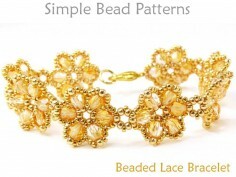 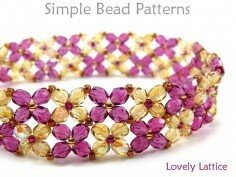 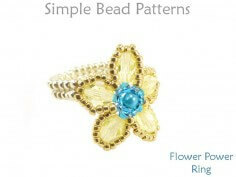 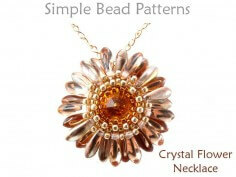 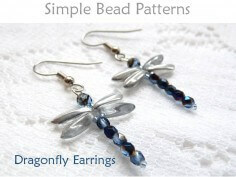 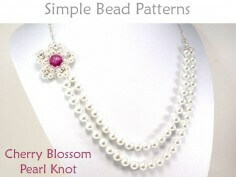 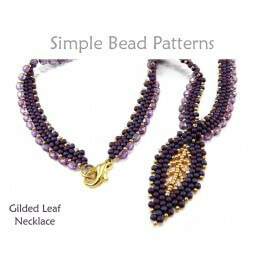 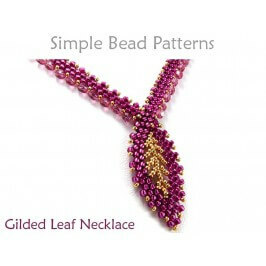 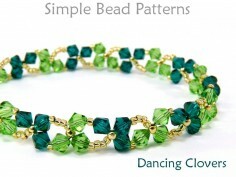 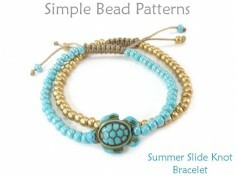 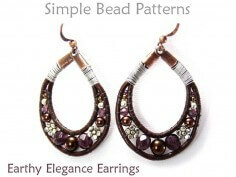 This variation on the diagonal peyote stitch incorporates fire polished beads for extra sparkle and weight. Learn diagonal peyote stitch (including increasing and decreasing rows). 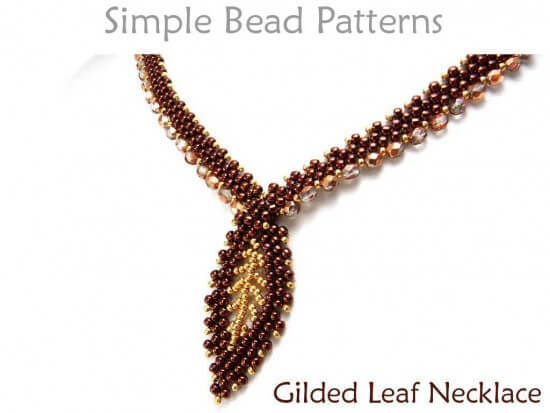 A unique overlapping design used to form leaf pendant shape. 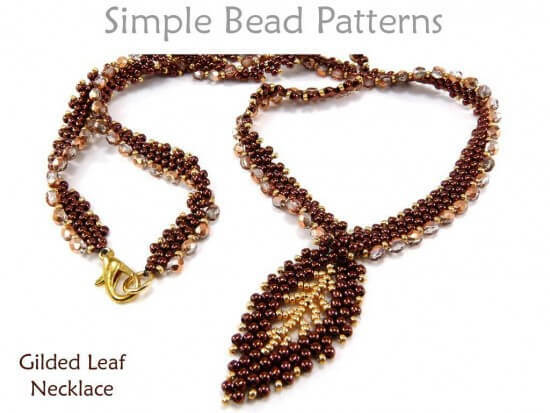 Complete recommended materials list with Special Notes section offering special tips and recommendations for what works best. 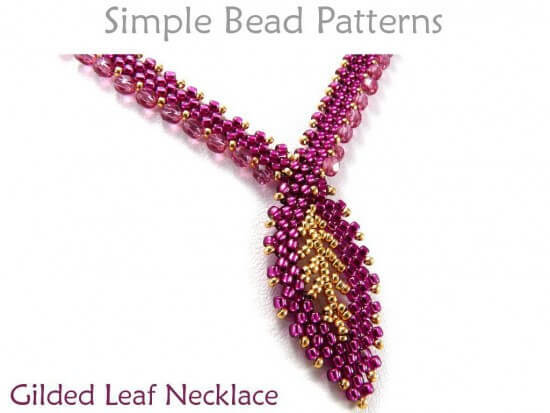 80 high-resolution full-color photos with easy-to-follow, step-by-step directions.